Creating an algorithm to independently rank CEOs is no mean feat because so many factors come into play. A feature we gave extra weight too was whether the CEO co-founded the company. It’s a monumental task starting a company from scratch and thereafter growing it to become an industry goliath. 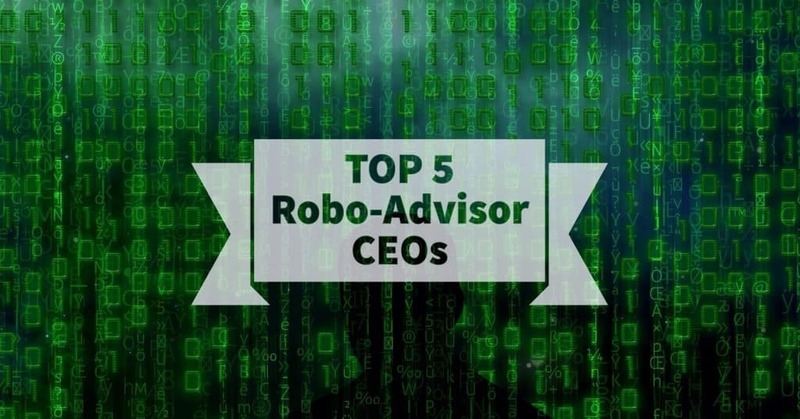 Many of the best-performing CEOs in the robo-advisor industry successfully accomplished that goal. Profile: After graduating from Penn State University with a BS in Finance, Mike Kane joined the highly prestigious Bridgewater Associates firm and subsequently worked as an analyst at Spruce Private Investors. In 2009, he co-founded Hedgeable with his brother, Matthew Kane. Mike describes himself as Hedgeable’s Master Sensei while Matthew is Hedgeable’s Chief Ninja! Mike and Matthew have not raised nearly as much venture capital to finance Hedgeable’s expansion as leading robo-advisor rivals but they do have a different investing philosophy than their competitors. While most robo-advisors rely on Nobel-prize winning academic research, called Modern Portfolio Theory, Hedgeable goes a step further and believes that principal can and should be protected during downturns. This twist on the classic investing method followed by most robo-advisors could be the spark that ignites rapid growth for Hedgeable as time goes by. This investing approach has its fans and Hedgeable is closing in on assets under management of $100 million. Hedgeable: Most robo-advisor firms keep you fully invested during market rallies and corrections. Hedgeable views investing differently, and endeavors to protect your portfolio when downturns take place. Hedgeable also diverges from most robo-advisors by catering to a broad range of asset classes. Investing in bitcoin and start-ups as well as more conventional asset classes is possible at Hedgeable. Plus automatic rebalancing and tax-loss harvesting are included in its all-in-one wrap-fee that ranges from 0.30%-0.75% depending on how much is invested. Profile: Bill Harris is a graduate of the prestigious Middlebury College and earned an MBA in Marketing from Harvard Business School. As former CEO of Paypal and Intuit, Bill is a veteran of the financial industry. His career history of firms is the proverbial who’s who of leading companies; he has been a member of the board of directors of GoDaddy, Answers.com, Business.com, Yodlee, SuccessFactors, Earthlink and many others. He has served as Chairman of Visual Sciences, PassMark Security and MyVest. After all those accomplishments, Bill Harris then went on to form Personal Capital in 2009 alongside Louie Gasparini and Rob Foregger. 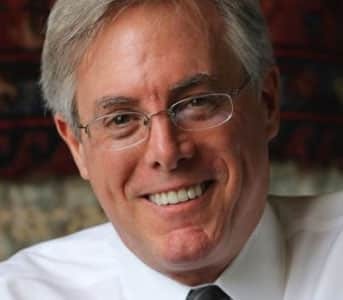 As CEO of Personal Capital, Bill Harris has raised over $175 million in venture funding from Venrock, Crosslink Capital, Institutional Venture Partners and IGM Financial. At last count, Personal Capital had accumulated over $4 billion in assets under management. Personal Capital: The business model Personal Capital has pursued is a hybrid robo-advisor model. Unlike some robo-advisors that offer only an automated portfolio management service, Personal Capital assigns clients to dedicated financial advisors. Because the model is labor intensive, the fees and account balance minimums are higher than they are at some other robo-advisor firms. Profile: Andy Rachleff could easily make a case for deserving the top spot on this list. His academic credentials speak for themselves: he is a graduate of the University of Pennsylvania and Stanford University Graduate School of Business. Professionally, he became hugely successful as the co-founder of Benchmark Capital, a venture capital firm that has invested in household names, such as eBay, OpenTable, Twitter, Uber and Snapchat. In 2008, Rachleff teamed up with Dan Carroll to form Wealthfront, a robo-advisor firm that provides portfolio management services with little human involvement. Since then, Rachleff and his team have grown assets under management into the billions; Wealthfront is hot on the heels of rivals Betterment and Schwab Intelligent Portfolios. 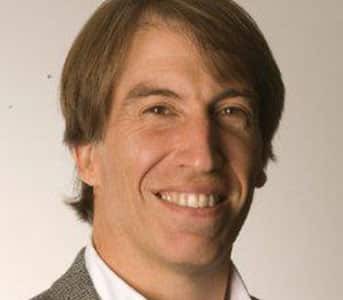 Wealthfront: Andy Rachleff and his management team have grown Wealthfront to a valuation headed towards $1 billion thanks to smart, strategic execution and with the help of about $130 million in funding from Greylock Partners, Index Ventures, and Spark Capital among others. Unlike competitors, such as Vanguard and Personal Capital, who connect clients to live advisors, Wealthfront has stayed true to its roots as a purely automated investing service. Wealthfront has kept fees and account minimums low, and is renowned as a leading robo-advisor in tax-loss harvesting via its “direct indexing” program that allows for the purchase of individual securities to optimize for tax advantages. Profile: Before Jon Stein co-founded Betterment with Eli Broverman, he had earned his educational badges in the hallowed halls of Harvard, where he graduated with a BA in Economics in 2001 and a degree in Premedical studies in 2002. Before entering top tier Columbia Business School in 2008, Stein worked for a number of years as a consultant at First Manhattan Consulting Group. Betterment: While in business school, Stein managed to find time to form Betterment, a robo-advisor so disruptive to traditional financial advisors that it has spawned numerous competitors. In fact, the robo-advisor model has been so successful that financial industry heavyweights, such as Schwab, Vanguard, and Fidelity have endeavored to steal some of the pie away from Betterment and its early rivals, such as Personal Capital and Wealthfront. 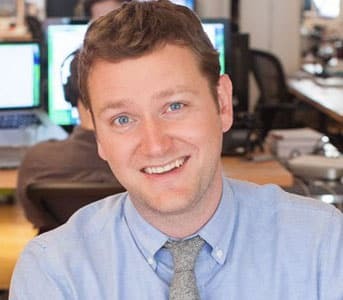 As co-founder and CEO of Betterment, Stein has led the company from inception to accumulate over $7 billion in assets under management, raising over $200 million in equity funding along the way. Betterment is seriously disruptive to traditional financial advisors who often charge fees well over 1% of assets managed. Betterment’s low-fee, higher tier investing services feature live advisors and seeks to provide tax-optimized investment returns for clients with individual, IRA, Roth IRA, and rollover 401(k) accounts. As much success as Jon Stein and his team have created so far, they will have their work cut out for them staving off the competitive threats from industry giants, such as Schwab, who have their own robo-advisor platform, Schwab Intelligent Portfolios. In fact, Schwab Intelligent Portfolios has a business model so innovative that it became the first robo-advisor to amass over $10 billion in managed assets. And another threat lurking is that posed by the CEO who made it to the top of the list, Mike Cagney of SoFi. Profile: In a competitive world of robo-advisors, it’s hard to find an angle to stand out but Chris Costello certainly succeeded. 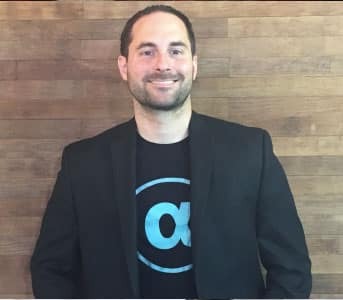 While the best robo-advisors generally focus on building investing products for the long-term in taxable and retirement accounts, and steer clear of 401(k)s, Chris bit the bullet and founded Blooom, which specializes in analyzing and optimizing 401(k) portfolios. 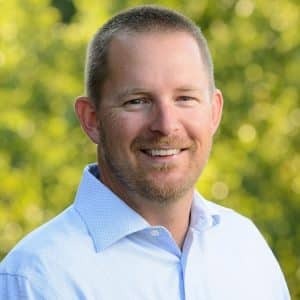 Chris is a University of Kansas graduate who started out life as a financial advisor at UBS Wealth Management before moving on to Wachovia Securities. Amazingly, Blooom isn’t the first highly successful company Chris has grown. Previously, he co-founded The Retirement Planning Group, where he contributed to growing the asset base to $500 million before stepping away to concentrate on growing Blooom. Blooom: Blooom is a specialist when it comes to 401(k) portfolios. Typically, when new employees begin work, they are offered a range of 401(k) options. If you are like most employees, you may have experienced this process and picked randomly from various fund choices and never again looked at those selections. Where Blooom adds value is by analyzing whether those selections you made could be optimized. Do they align with your risk profile and financial goals? Are you paying too much in expense ratios and fees? If you are not sure, Blooom will automatically do the hard work for you and will continually to monitor your portfolio.